It may seem very expensive to pay $38++ for the 3 tier dessert afternoon tea. After all, there’s only a couple of petite sandwiches, scones, mini cakes, and a pot of tea, right? No, the afternoon tea set is much more than that, and there’s definitely more than enough food. Having an afternoon tea is an indulgence in life, it is about the feeling of sipping a cup of tea, nibbling finger sandwiches and tasting the petite desserts, while enjoying a leisure afternoon in the tea lounge with your friends or loved ones. If you get the Afternoon Tea Set for yourself (no sharing), all the items are replenish-able and you can eat as much as you want. BUT, if two of you choose to share ONE afternoon tea set, it is an one-off thing, and the items will not be replenish-able. There’s a good selection of English tea to choose from, otherwise you can always have coffee or homemade hot chocolate. Among the petite sandwiches (they change from time to time) that we tried, I love the Egg Salad & Cucumber on white toast which was light and delicate. The organic smoked salmon on Sunflower seed bread was equally tasty. The good thing about mini sandwiches? I can have as many I want without feeling guilty. The gorgeous scones at The Regent Singapore Tea Lounge were wonderful. They could barely sit still around the soft strawberry jam and clotted cream, so I had to finish two of them on my own. From the petite four desserts, the Chocolate-Yuzu Tart with pecan nut had a flavour that combines citrus with chocolate — it tasted like love. We also had a pear-flavoured financer, and chocolate madelaine. Personally, I like the comfort of sitting down to enjoy the afternoon tea without having the need to jostle and fight with other people at the buffet counters. For the weekday afternoon tea set, everything is served to your table, and it will be replenished with a wave of the hand. 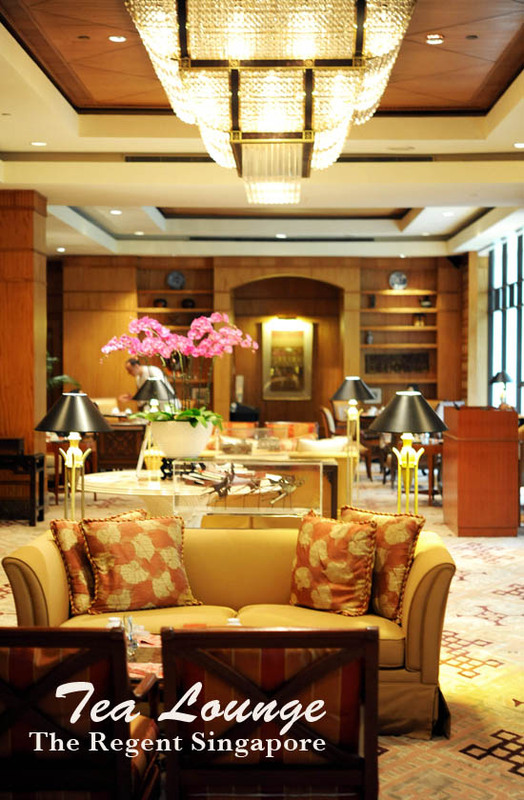 But if you prefer to have more variety of food, go for The Tea Lounge’s Weekend High Tea Buffet which has a local theme. They have the usual sandwiches, pastries and cakes, with the additional buffet counter of sushi, Asian corner, savoury items, dim sum, and gelato & crepes. Mind you, it’s a lot of food for an afternoon tea buffet! 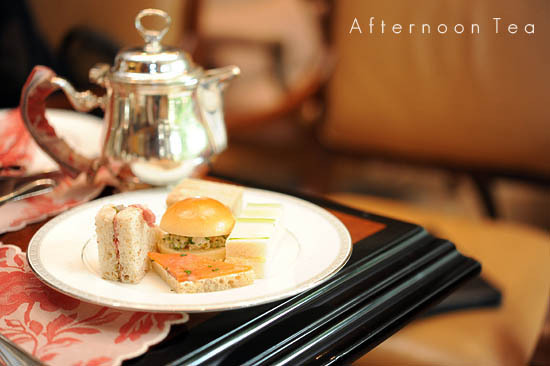 The Regent Singapore Tea Lounge’s Afternoon Tea Set selection varies from time to time, they may not be serving exactly the same cakes and sandwiches, but each set will definitely comes with fresh finger sandwiches, Petite Four cakes/pastries, freshly baked scones and a pot of tea. Your afternoon tea coverage is making me crave… LUNCH! Sorry lah, blame the hour. But them petit fours and sandwiches would make a decent lunch too, if only one ate enough of them, no? You captured such great shots of the food. Made me salivate! May I ask if you used a flash and/or diffuser for the first shot? And what were they? The light on the food is lovely. there’s free flow of hot chocolate too and it’s really darn good! Many thanks for speaking with me about our Afternoon Tea. Your feedback only helps us enhance our standards at all times. 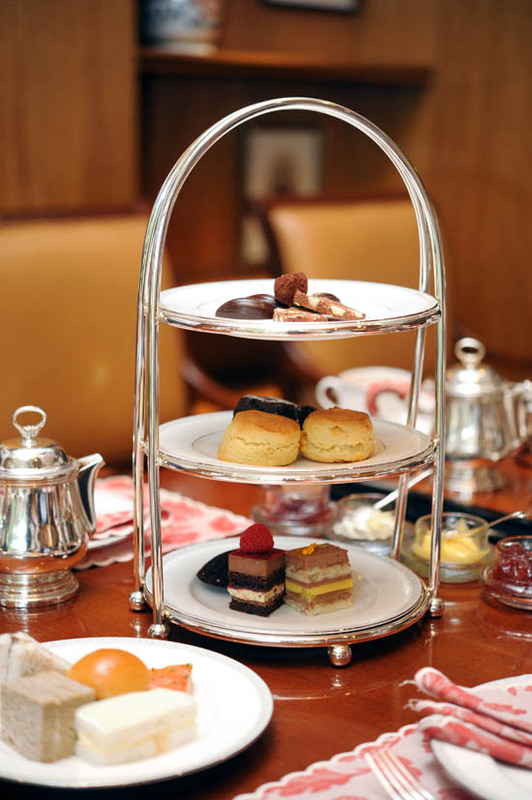 We don’t offer replenishments of all items as a standard part of our traditional Weekday Afternoon Tea. However, we do have a lovely High Tea buffet spread on the weekends where guests can help themselves to our delicious spread during the course of their afternoon with us. Thank you once again for bringing this up to us. I will look forward to meeting you when you are back at The Regent. I depend on this blog for food reviews quite a bit, so naturally when I read this review and heard from many friends about the excellent afternoon tea three-tier set at Regent, I was all set for a nice tea session. Unfortunately, when I went on Wednesday, I was sorely disappointed. Besides the misleading fact in this review that the food items were replenishable (my bad for not reading the comments section), the food, though very presentable, was unsatisfactory. The mini sandwiches seemed to be brought straight out of the fridge and didn’t taste fresh. The pastries were cold and hard. Other items, like the cakes, didn’t wow me either. In my opinion, the only saving grace was the scones. Service was good though, with staff filling up the tea pot every now and then. I had wanted to give my feedback on the food in the feedback form provided at the hotel, but there wasn’t any section given to rate the food, hence I thought I’d share my experience here with other readers too. Grateful to the comments made. Disappointed with LadyIronChef’s review given its inaccuracies concerning replenishments .. and that it still has NOT been rectified. Certainly places question marks on rest of its reviews. For regent, it does sound rather overpriced for an afternoon tea. Moreover food so-so, nlikely to give it a try. Other better places to go. Not the best food – and the colors (some call it presentation) were not attractive enough. Place was very comfortable.and its a good place to spend the afternoon w a couple of friends with someone on the piano at intervals. The service is excellent. We had a flying quiche (quiche dropped into the teacup), and the staff promptly replaced the teacup and a quiche.